Councillors will meet next week to discuss the future of South Shields School, it has been announced. Members of the South Tyneside Council's cabinet are re-convening on Wednesday when they will be asked to launch a formal consultation on the future of the school. Earlier this week the cabinet deferred a decision to begin the consultation. South Shields School was rated ‘Inadequate’ by Ofsted in 2017 which triggered the search for an academy trust to sponsor the school. The Regional Schools Commissioner has been unable to find a sponsor, largely due to falling pupil numbers which impacts on the longer term financial viability of the school. A report to members of the cabinet found that pupil numbers at the school have fallen and are predicted to decline further. 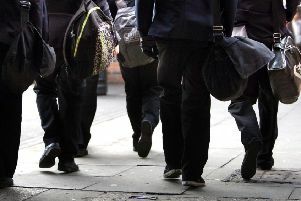 Furthermore, the council says that the catchment areas for South Shields School, Boldon School and Mortimer Community College "significantly overlap" and some families are opting to send their children to Boldon and Mortimer which have significant surplus places. The continued decline of student numbers will impact on the school budget if action is not taken. The report argues that this is likely to have a knock-on negative effect on the ability to deliver a broad and full curriculum. Councillor Moira Smith, lead member for children, young people and families, said: “By law, the Council cannot maintain a school which has been rated by Ofsted as Inadequate. “While we appreciate that consulting on the potential closure of a school is unsettling, the Council has no other option open to it. This would be followed by a second statutory consultation with pupils, parents, the governing body, staff and trades unions later in the year. It is anticipated that cabinet will be required to make a final decision on the future of the school on January 23, 2019. Consultation will focus on the reasons for potential closure of the school, arrangements for transition of pupils, a timeline for transition and closure, and information about alternative schools in the area. Coun Smith added: “We are determined that every young person has the best start in life and we are committed to supporting students at South Shields School, their parents and carers and indeed the entire school community through this difficult time. “We hope people will engage with us in this consultation and share their views to help us shape the best possible future for students of South Shields School. “We are aware of a petition that is seeking support to save the school. "However, this is not a petition that the council can act upon as the law is very clear on the influence the council has once the legal process has started. The meeting of Cabinet on Wednesday at 4pm will be held in the Council Chamber, South Shields Town Hall. A dedicated phone line - 0191 424 7847- has also been set up for students at the school and their parents and carers.